The Irish Government signed a deal late last week with carmaker PSA Peugeot Citroën to introduce two electric vehicles onto the market. 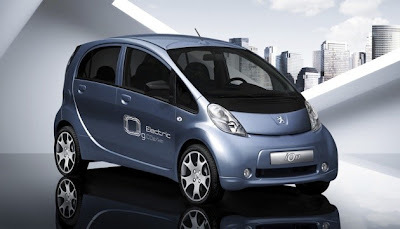 The Memorandum of Understanding will see initially see 50 each of Peugeot’s iOn and Citroën’s C-Zero supplied to the Irish market in 2011. Prices for the vehicles will be announced in January, when the first vehicles arrive in Ireland. Following the initial shipment, vehicles will be supplied depending on demand. The Government has set an initial target of having 6000 electric passenger vehicles on the road by 2012 in preparation to achieve 10% of all vehicles (around 230,000) by 2020. The plans are being supported by Ireland’s main utility, Electricity Supply Board (ESB), which is installing 1500 public charging stations, 2000 domestic charging points and 30 fast charge units by 2011. “Ireland is one of the first countries in the world to build a nationwide electric vehicle charging infrastructure and to put in place other necessary conditions to facilitate the widespread adoption of ecars,” said ESB’s chief executive, Padraig McManus, at the launch late last week. From 1 January next year, grants of up to €5000 will be available for the purchase of electric and hybrid vehicles.